The official behind-the-scenes book of the hit musical that won 6 Tony Awards! A letter that was never meant to be seen, a lie that was never meant to be told, a life he never dreamed he could have. Evan Hansen is about to get the one thing he's always wanted: a chance to finally fit in. Both deeply personal and profoundly contemporary, DEAR EVAN HANSEN is a new American musical about life and the way we live it. The book-produced by Melcher Media, the team behind Hamilton, Wicked, Rent, and many more-tells the story of the musical from its conception nearly a decade ago to the Broadway stage. From developing the idea to writing the show, composing, casting, and rehearsals, DEAR EVAN HANSEN appeals to fans far and wide offering them the opportunity to continuously revisit the show, and for those who haven't seen the musical, reading the book will make them feel like they have. 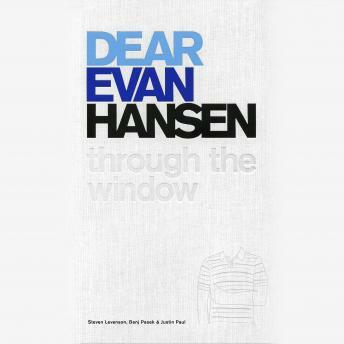 Filled with interviews with the cast and crew, original behind-the-scenes photography, a deeper look into Evan's fictional world and the visual world of the show, unreleased lyrics, and of course the libretto, as well as reflections on the creators own formative memories from their adolescence as it relates to the show's themes, and important examinations of how we present ourselves online and mental health, DEAR EVAN HANSEN is a beautifully produced, thoughtful, and uplifting book.